This artpack contains 154 trees in autumn/winter & spring/summer versions, all created by Kepli (who you probably know from the Dundjinni forums, (the now-defunct) Four Ugly Monsters, and/or from the BG forums). 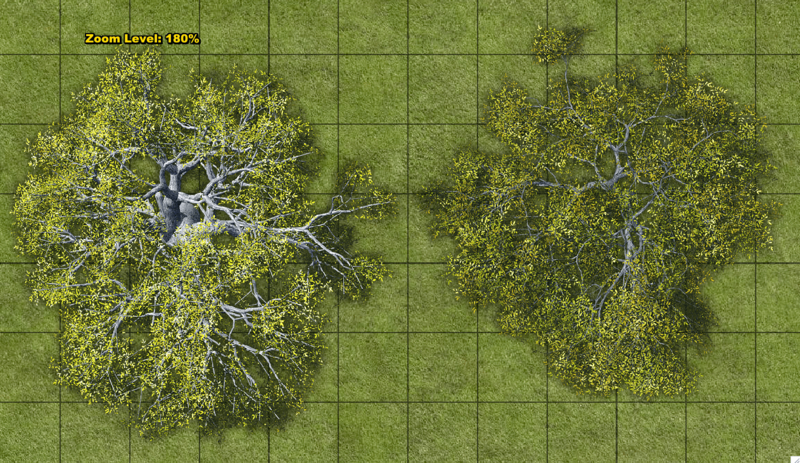 These are the same trees that are offered for sale at (the now-defunct) www.creativegremlins.com, except that they have been resized for use in Battlegrounds and all 5 tree packs that are normally sold separately have been bundled together at a discounted price. 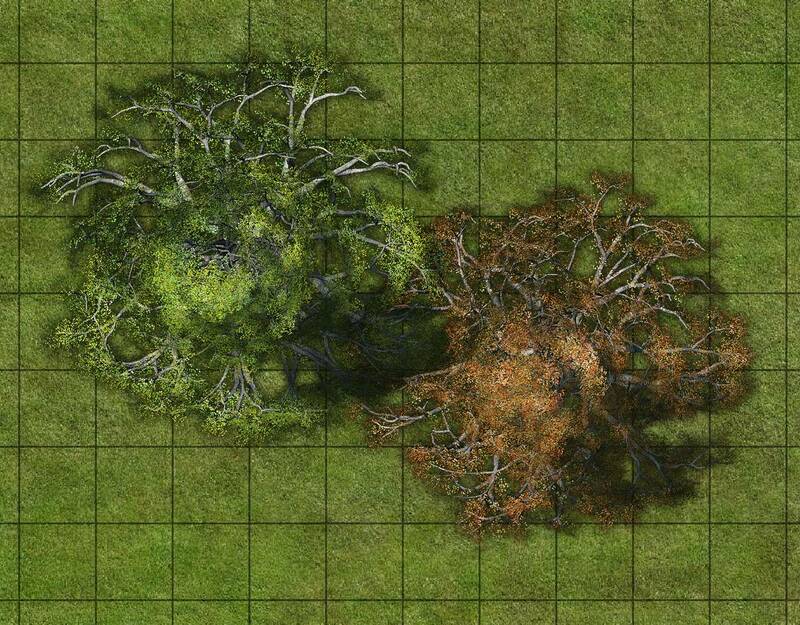 Those who wish to use the trees in mapping programs such as Dundjinni or CC3, or in graphic programs like Gimp or Photoshop, are best served buying the PNGs from the Creative Gremlins site. All the graphics are high-resolution (122 pixels per cell), so they won’t pixelate even at full zoom in Battlegrounds. 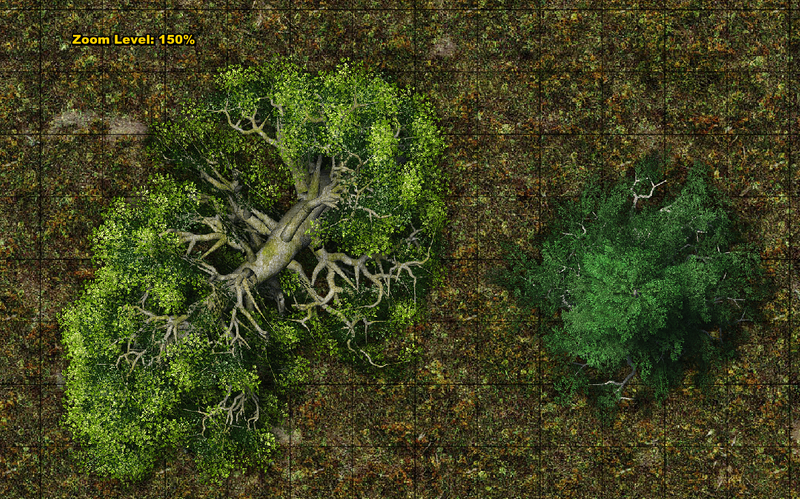 In addition to the incredibly-detailed tree graphics, this artpack also comes with 13 sound effects, 10 of which are loopable. You can use these sound effects to help create a more immersive environment. They include ambient sounds for both day and night encounters. This is the largest artpack to date, in term of the size of the download, weighing in at a hefty 181.1 MB. 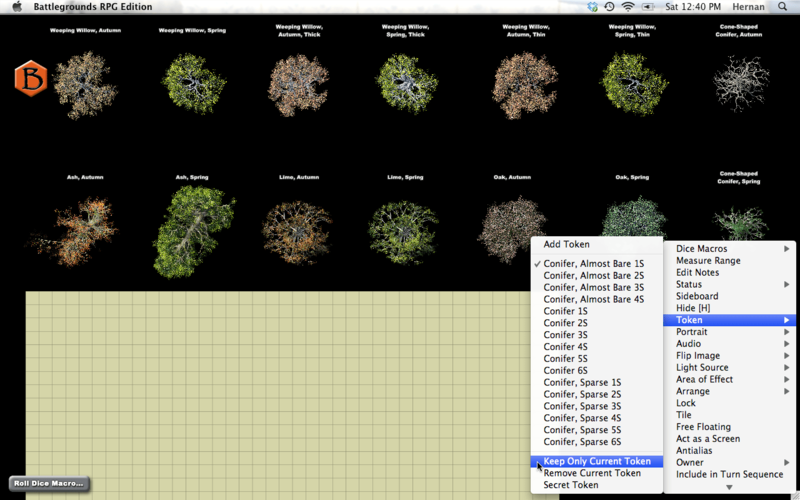 This includes a 28.3 MB PDF that serves as a handy visual reference for all the trees in the artpack. This artpack is good for both GM’s who like to improvise on-the-fly and those who like to create elaborate layouts well ahead of game-time. 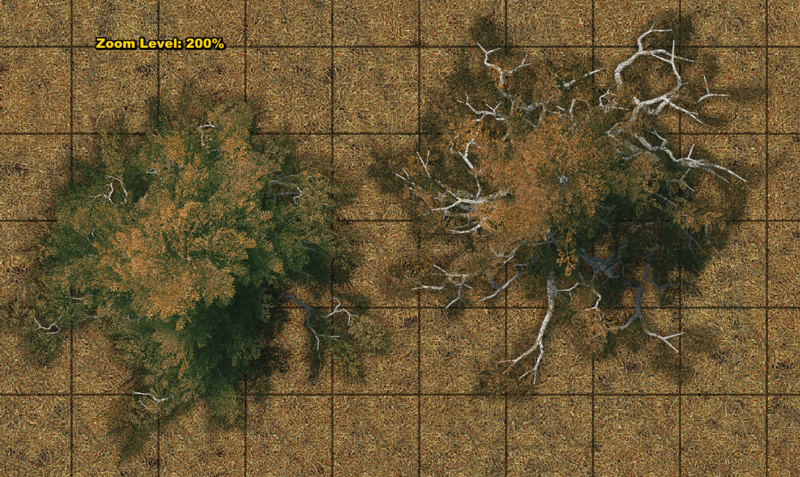 The trees also happen to look great on many of the maps in “Base Map Pack 1“, if you happen to already own that artpack. 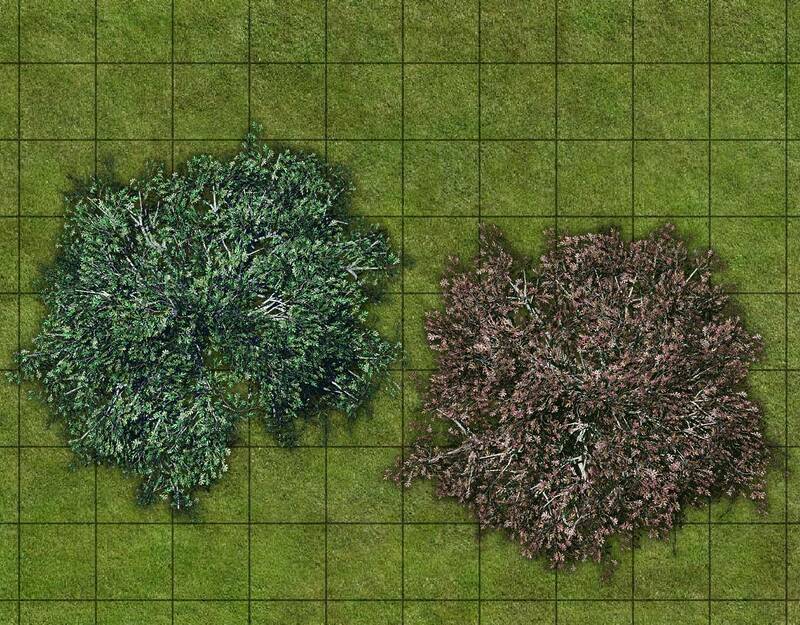 “Kepli’s Tree Pack 1” costs $11 for GMs (but, like all artpacks, is free for players). Half of the proceeds will go to Kepli (the artist), and the other half to support continued development of Battlegrounds. And if this artpack does well, Kepli is almost certainly going to create more artpacks in the future. These last two images are zoomed in to 200%.